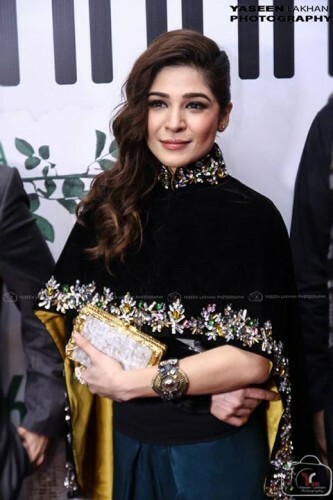 Ayesha Omar is the leading Pakistani model, actress, singer and dancer and she has performed in various drama serials. She performed the tremendous role in the drama serial, ‘Bulbullay’, in which she performed the role of Khoobsurat. Few days before, she was going to Hyderabad with Azfar Rehman, then they met with an accident. He receives injuries and her collar and right shoulder was broken. She shared her story of accident on social media with audience. 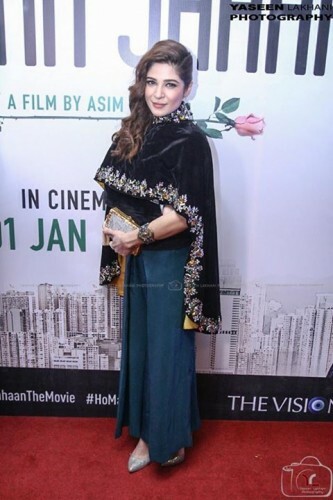 She got the treatment from the hospital and now she appeared in the premiere of Ho Mann Jahan, in Karachi, first time after her accident. She has a plaster on her shoulder and she was dressed in the complete dress. 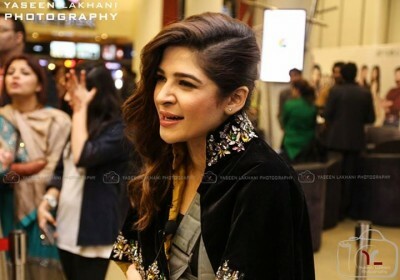 The pictures of Ayesha Omar were made and are attached here.